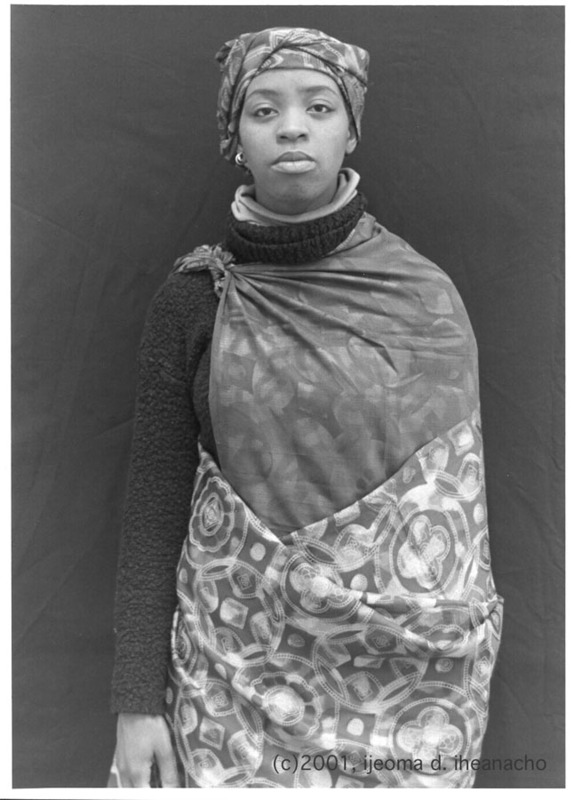 The black and white prints of the “Cloth” series seek to depict the identity issues African-American women face on a daily basis. The introduction of the traditional African cloth - called wrappers - act as a representation of a cultural medium. This leads to the questions: How are these women wrapped in the stereotypes of a culture and What happens when they can rewrap themselves? By manipulating both the actual cloth and the text associated with the image (the title to the image), I am asking the viewer to both recognize and reconceive the notions that brought forth in the image. In doing this I hope the viewer will begin to keep an open mind when presented with other “foreign” images and concepts and look past the first connotations that arise simply from not being intimately familiar with the subject. This series can be found in the Schomburg Center for Research in Black Culture.